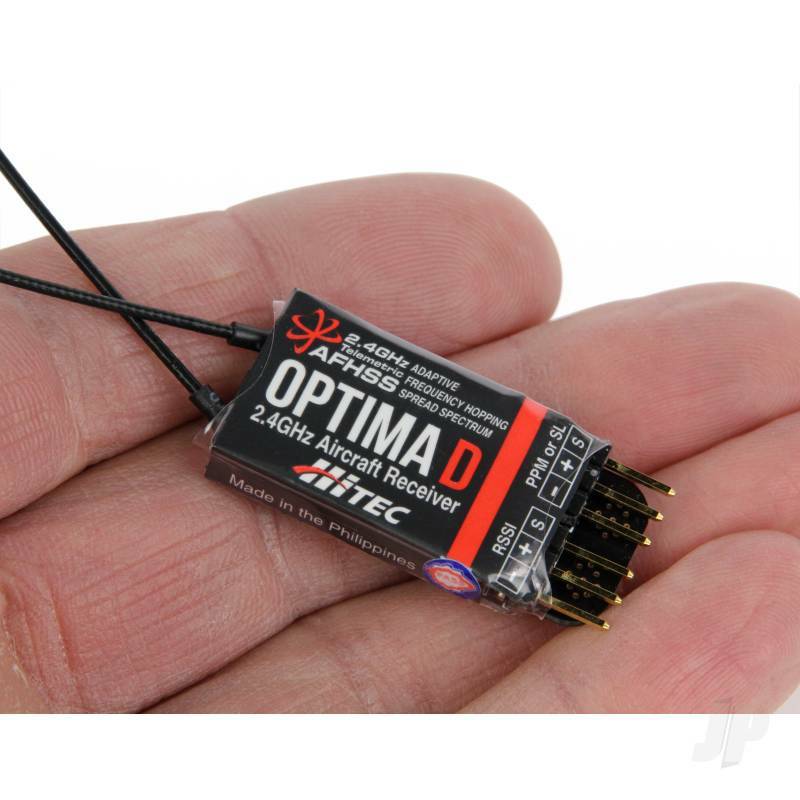 A compact, lightweight, micro-size S-Bus and PPM receiver thats ideal for drones and optimised for quad racing. 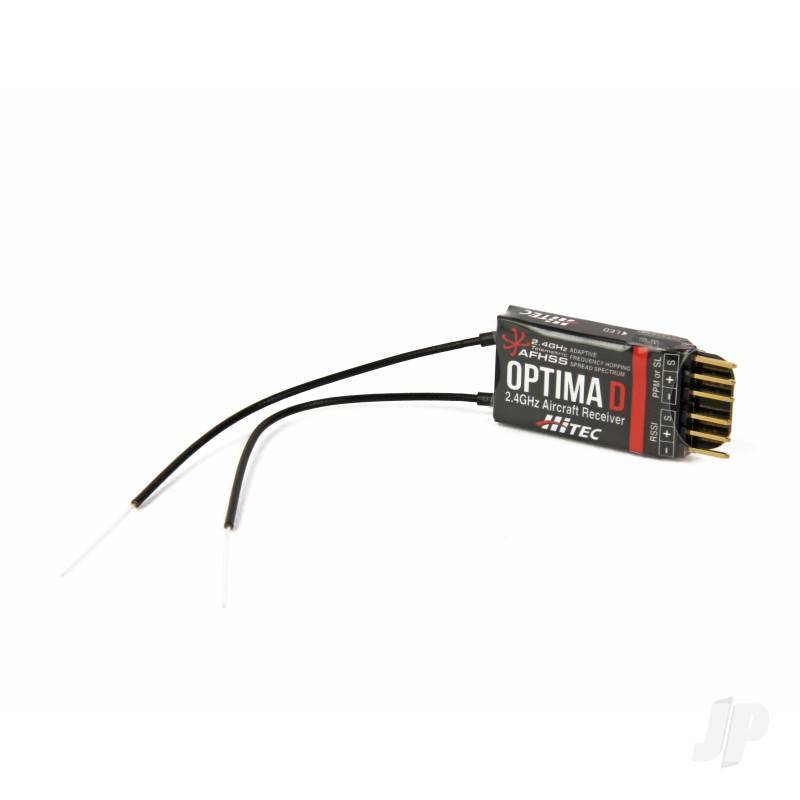 With accurate voltage telemetry and selectable S-Bus/PPM operation the Optima D is compatible with all types of Flight Controller. Offering a full 8/9 channel output its compatible with all Hitec 2.4GHz aircraft radios such as the Aurora 9, Aurora 9X, Flash 7 and 8. 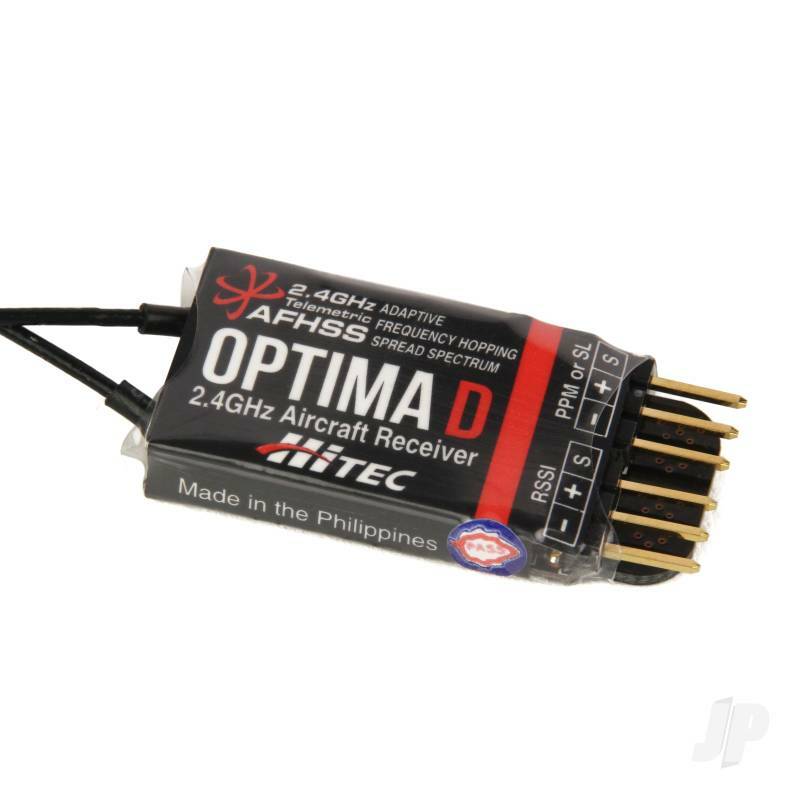 Weighing only 4.1g, the Optima D receiver can be mounted in the tiniest of spaces so is just the job for even the most compact racing quads. With S-Bus, you get increased speed due to lower latency and higher resolution. 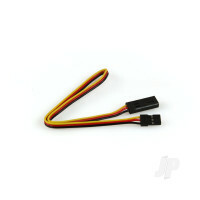 Plus, its connected to your Flight Controller with a single lead, so the tricky problem of bundling wires is removed.